Product prices and availability are accurate as of 2019-04-22 08:03:34 EDT and are subject to change. Any price and availability information displayed on http://www.amazon.com/ at the time of purchase will apply to the purchase of this product. ArtRage Lite is our introductory version of ArtRage 5. Fully functional, it concentrates on the natural media drawing features. ArtRage has the best color mixing and digital oils around, automatically detecting paint thickness on canvas, the amount and type of paint on your brush, the canvas texture, and the colors, with every stroke. 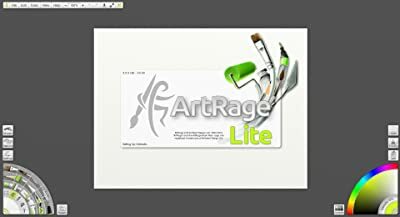 Along with our very popular oils, ArtRage Lite includes a full range of traditional tools, including highly realistic watercolors, pencil and airbrush that let you use live tilt with supported Wacom styluses, thick oils, five different palette knife shapes, wax and chalk pastels that let you mimic crayon or charcoal, a felt pen that mimics art pens and copic markers, an ink pen with an auto-smoothing function for clean outlines and flowing calligraphy, a paint roller, Gloop pen (which acts like a gel pen with liquid ink), an eraser, and glitter for fun effects and creative textures. Every tool has a full range of real world based settings, allowing you to tweak as you draw and create exactly the right brush or pen. Adjust the angle, amount of paint and brush shape, then save your own custom presets. Or make use of the default presets that come included with the program. ArtRage Lite's customizable canvas grains interact with the paint, allowing you to create the perfect paper and canvas backgrounds. While the natural media is what most people pick ArtRage up for, that's not all it does. 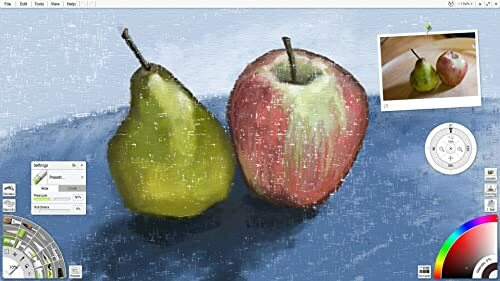 Along with the real world painting and drawing tools, ArtRage features a full range of powerful digital art tools. The Sticker Spray allows you to use and create a fantastic variety of advanced custom brushes, and allows you to download brushes from other ArtRage users. 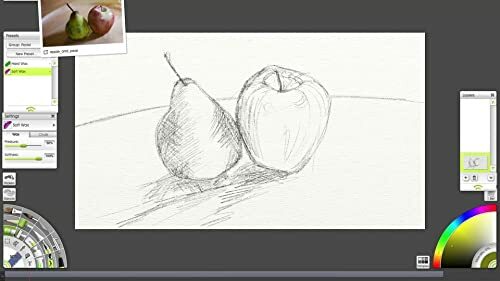 The Scripts feature lets play back your recorded scripts from the iPad or other editions of ArtRage, to recreate your paintings and record the process using screen capture software. ArtRage also includes select and transform options, a cloner tool, and three Layer Blend Modes to help you color scanned sketches and create effects. 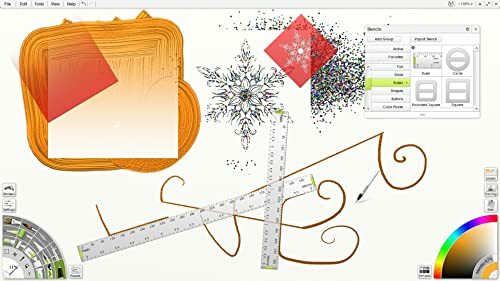 Along with all those features, ArtRage's tracing and handy reference functions are accessible and useful, allowing users to import images to refer to, and the Stencils act as easy masks that can be scaled, flipped and saved. ArtRage Lite allows import and export of PSD (with text, blend modes and layers), PNG, BMP, JPG, TIFF and GIF. 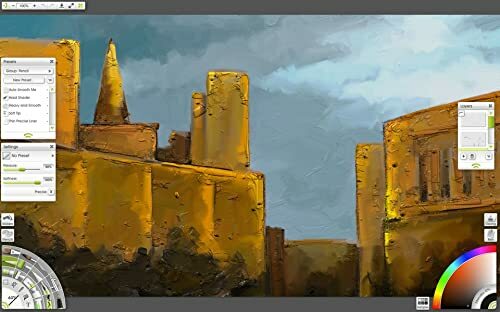 ArtRage also comes as Android and iOS mobile apps, which feature consistent interfaces and behaviour, and produce paintings that are fully compatible with the desktop edition. ArtRage Lite includes a PDF guide, access to reliable email support, a friendly user forum and a website with tutorials and additional resources. ArtRage Lite owners can upgrade to the more advanced ArtRage 5 at a 30% discount for access to professional features. 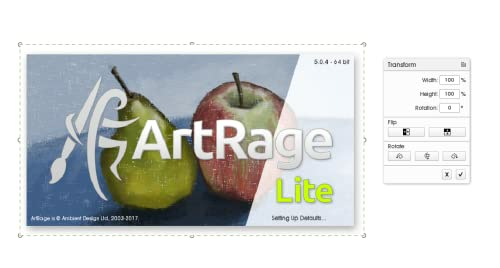 The licence allows unlimited downloads of both Mac OSX and Windows PC editions from the ArtRage member area. Registration is optional. ArtRage Lite is compatible with Windows Vista, 7, 8 and 10, and Mac OS and later. Interface languages: English, French, German, Dutch, Spanish, Italian, Japanese, Russian. Manual in English.